This is the most well-known tree in Frederiksberg Gardens. 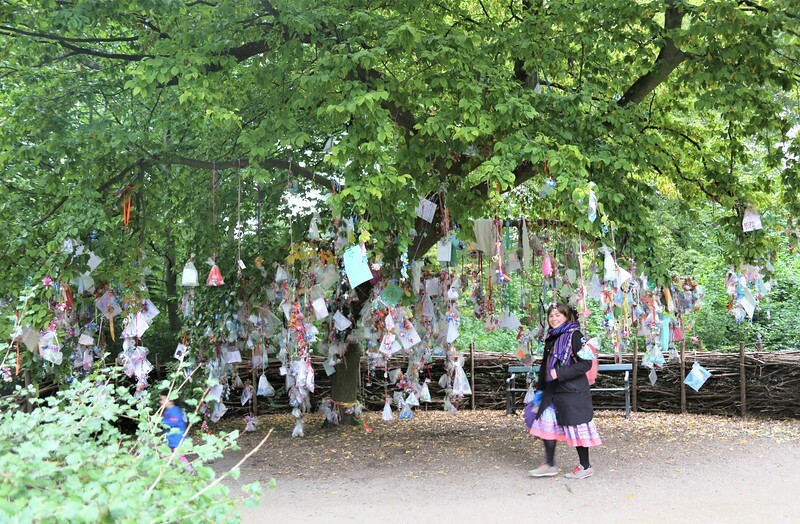 What you see hanging from the tree are notes from children along with their gummis (pacifiers). It has become a local tradition that when a child decides he/she is old enough to give up their pacifier they hang it on the Gummi Tree. That way everyone knows the child is no longer a baby and is growing up.